La Huerta // We went here our first night in Fort Smith. I was craving really good nachos, and this place delivered. I hadn't eaten all day, but that ended up being a good thing because I was able to fill up completely on nachos!! Bricktown Brewery // I'll be honest. I was not expecting to love this place, but it was love at first sight when my food arrived. My mom and I split a veggie burger and a chicken burger, but the fries were what really blew me away. 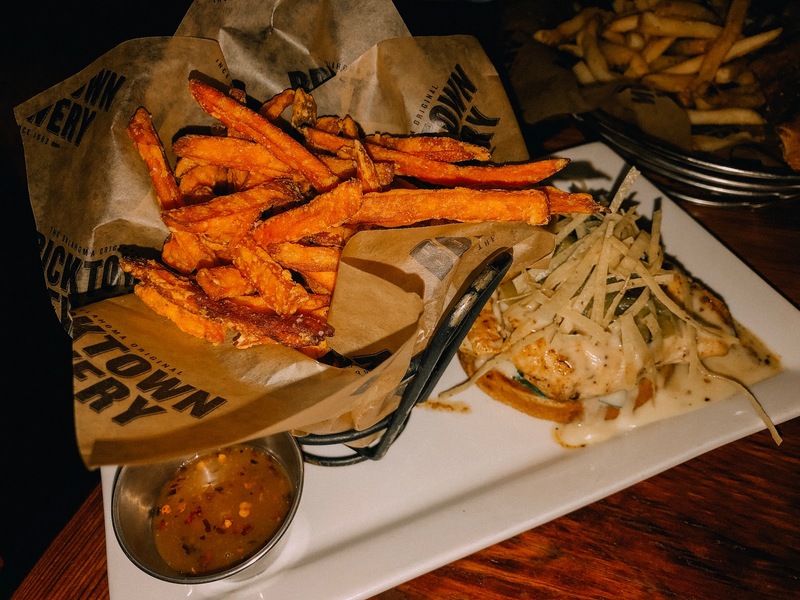 They have the best sweet potato fries, and stay with me... they have a great caramel sauce to drizzle on top of your fries. I know it sounds weird, but trust me. Salted caramel on sweet potato fries is just about the best thing that could happen to you. 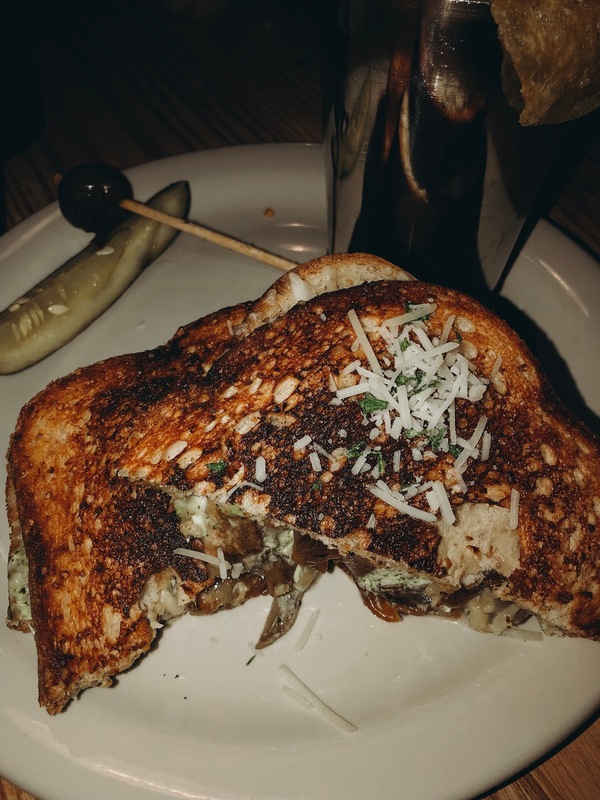 Hammontree's Grilled Cheese // No words can describe how truly amazing my grilled cheese was. Hammontree's is a fun sandwich shop with so many different grilled cheese combinations, and you can also build your own. I got a grilled cheese with mozzarella, garlic sauce, mushrooms, and onions... and holy moly. It was good. They also have really good sweet potato fries! Rick's Bakery // The best way I can describe this place is, Collin St. Bakery meets Chez Zee. This bakery had the fun atmosphere of Chez Zee, with the wide array of baked goods that Collin St. Bakery offers. I highly recommend their petit fours and their cupcakes (although mine was very rich), and they also have tons of cute cookies that are decorated with icing. 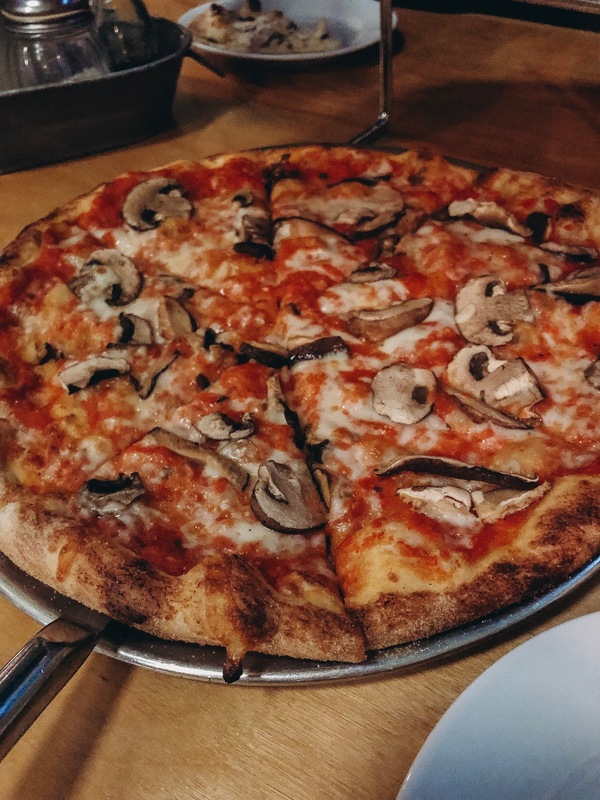 Woodstone Pizza // We went here for dinner one night to meet up with some family that lives in Fayetteville, and I enjoyed their delicious pizza paired with their lively atmosphere! 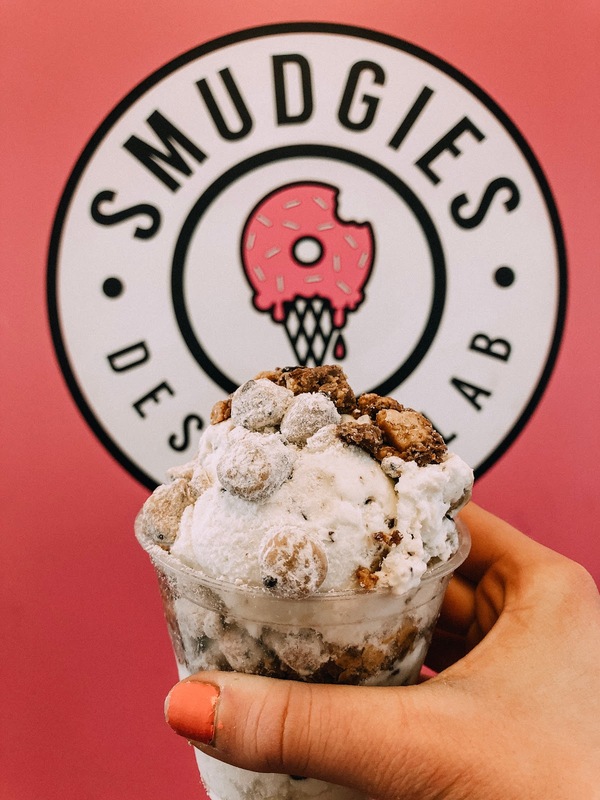 Smudgie's Dessert Lab // This ice cream place has such a cool concept! You can get your ice cream stuffed in a donut, as a concrete, as a milkshake, or as just plain ice cream, and you get two toppings with whatever you order. I got cookie dough ice cream topped with more cookie dough (yes, more cookie dough) and Reece's! A couple other places I heard good things about were Damgoode Pizza, Onyx Coffee, and The Whimsy Cookie, but we didn't get to go there. 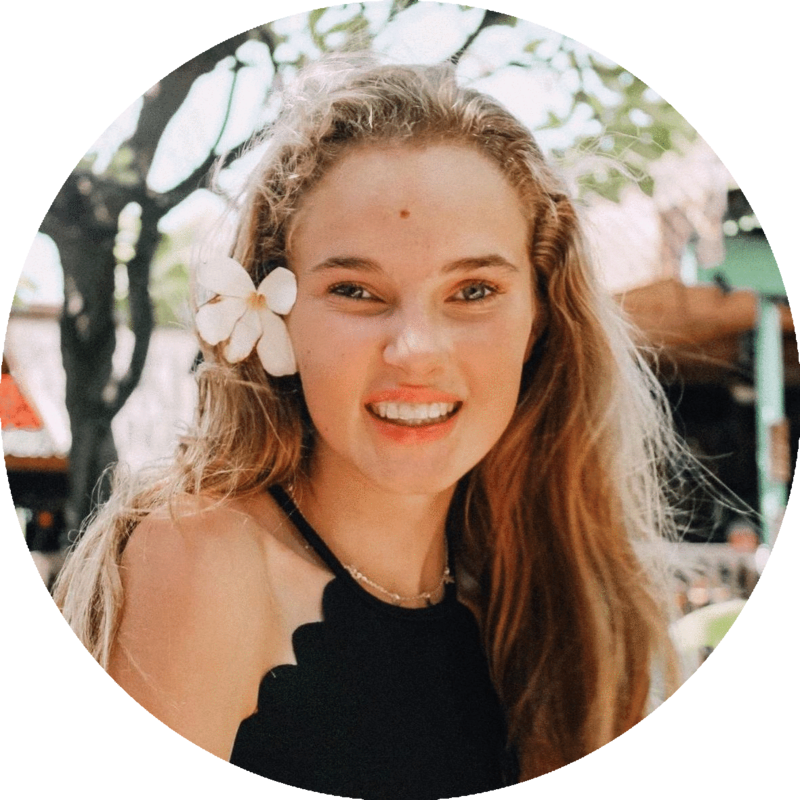 Crane Clothing Co // This boutique has rooms upon rooms of cute clothing and shoes, and everything is such a good price! The girls who work there are also really friendly and nice. They have an extension store next door that specializes in shoes. I found the cutest espadrilles but they were out of my size, sadly. Colquitt Bath Co // I am not a fan of bath bombs and soaps... they're just not my thing. My sisters, however, love them, and they enjoyed visiting this bath store and picking out some colorful bath bombs to take home! Maude Boutique // This cute boutique had tons of trendy clothes and accessories! It has a wider selection than most boutiques, making it well worth a visit. 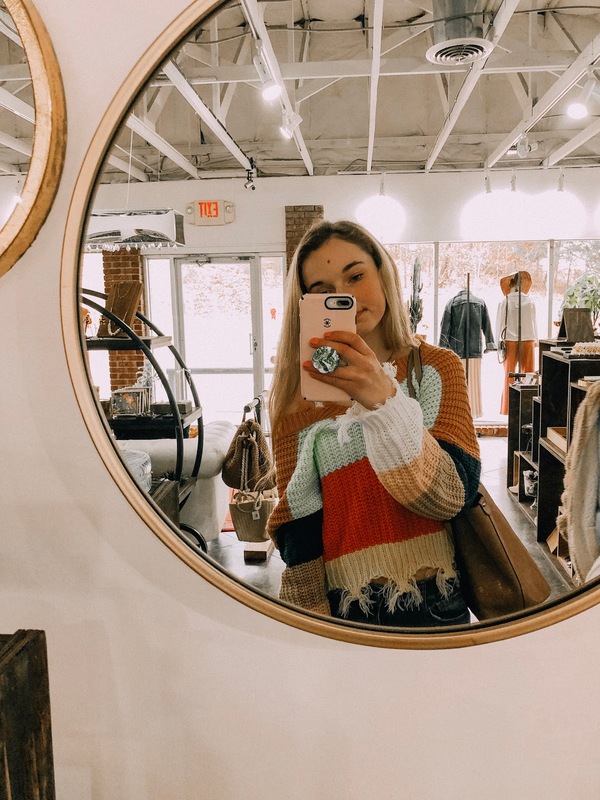 Riff Raff // Located in Fayetteville's City Square, Riff Raff has tons of cute clothes, accessories, gifts, and home decor items. It's filled with bright colors and just walking in the store will put you in a good mood. The Freckled Hen Farmhouse // This shop has the cutest home decor pieces that remind me of things you would find at Magnolia Market. I literally could've purchased everything in that store, but I refrained :) My mom and I did get this cute print for our kitchen, though! University of Arkansas // Our whole point in going to Fayetteville was so I could tour the University of Arkansas. We spent a whole day walking around campus and attending sessions on business and journalism. It was such a busy day that I didn't even stop to take any pictures, but it was a beautiful campus and I could definitely see it being my future home. Mount Sequoyah // Fayetteville is absolutely gorgeous because it's surrounded by the Ozark Mountains. Mount Sequoyah is a great place in Fayetteville to go, because it has a lookout point where you can look down and see the entire city, complete with the Ozarks in the distance. 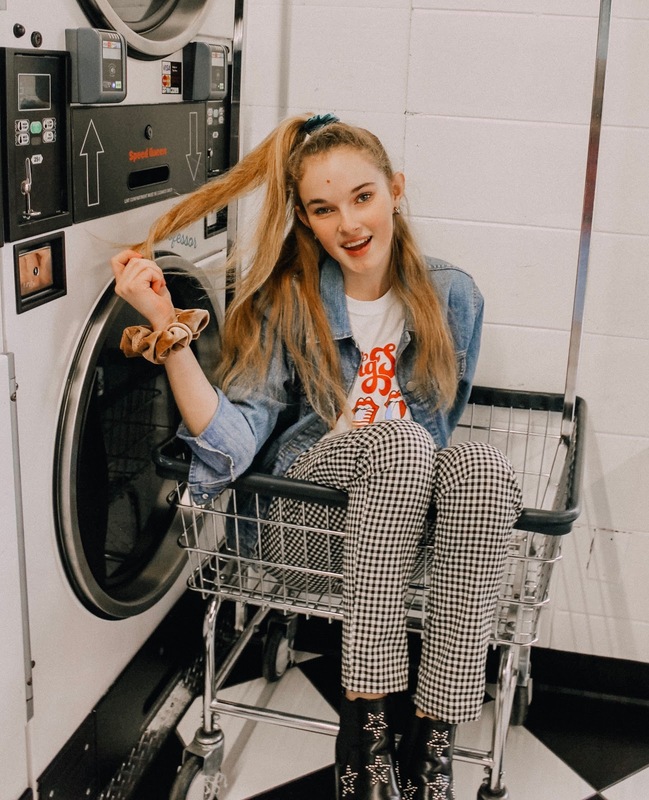 Sit & Spin // This laundromat is the cutest, most photogenic place you've ever seen! When I saw this place on Pinterest, I knew I had to shoot an outfit there. All of the pictures turned out so well... I can't wait to share them all next week!! Maude Boutique // Not only does Maude have the cutest clothes, but behind their store is a whole wall with different colored panels that make for the cutest pictures. 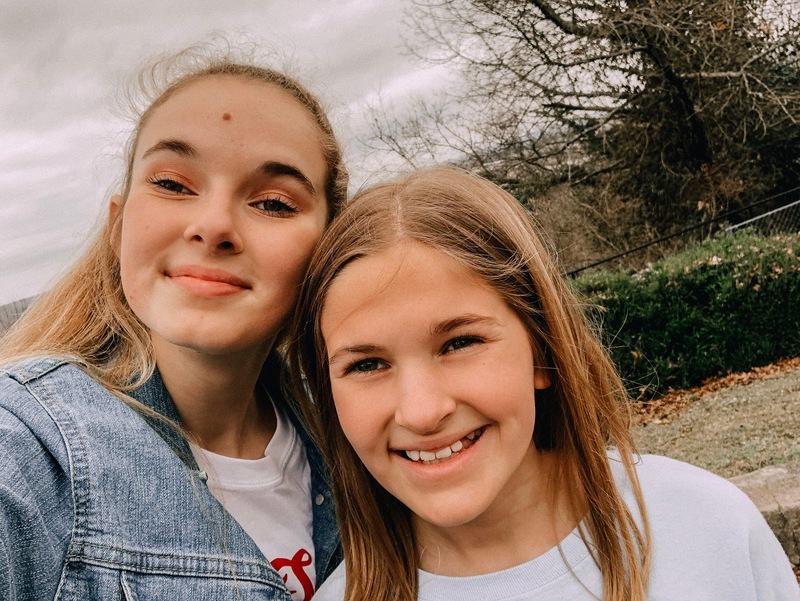 I shared a bunch of the pictures earlier this week... check them out here! 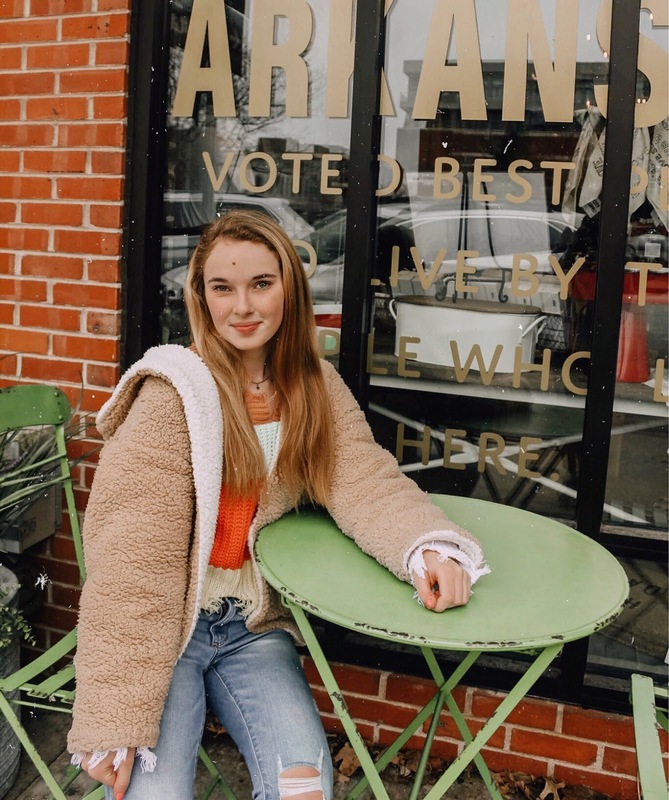 City Square // The main square in Fayetteville is filled with hues of red brick and glittering storefronts, making it the perfect place for you to snap a picture of you shopping! It was such a fun trip and I definitely hope to go back one day! Fayetteville definitely has that fun college town vibe, and I loved the historic streets of Fort Smith. Have you been to Fayetteville? What did you think of it?